The signature tyre from Dunlops winter range, specifically desgined for 4x4's the Dunlop Grandtrek WT M3, is the tyre of choice for leading high performance manufacturers. This special edition of the Grand Trek Winter M3* has been produced in association with BMW and is designed to optomise perfomance when used in conjunction with certain BMW models. Also used as Original equipment by Porsche, Volkswagen, Mercedes and Audi for their 4x4 line ups, the Grandtrek WT M3 offers superb snow traction, and incredible performance in the wet offering a high level of resistance too aquaplaning. 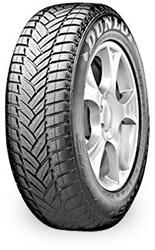 The Dunlop Grandtrek Winter M3 is also available as a RunOnFlat.